IMAGE: This is David Awschalom from the University of California — Santa Barbara. (Santa Barbara, Calif.) –– Physicists at UC Santa Barbara have made an important advance in electrically controlling quantum states of electrons, a step that could help in the development of quantum computing. 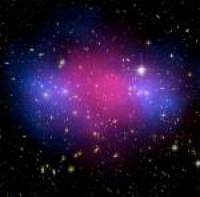 The work is published online today on the Science Express Web site. IMAGE: This is postdoctoral researcher Greg Fuchs in the lab of UCSB’s Center for Spintronics and Quantum Computation. The work was performed at UCSB’s Center for Spintronics and Quantum Computation, directed by Awschalom. Co-authors on the paper include David. M. Toyli and F. Joseph Heremans, both of UCSB. Slava V. Dobrovitski of Ames Laboratory and Iowa State University contributed to the paper. This nanoscale process will make computers smaller, faster and more efficient. Sounds good to me. Scientists at the University of California, Santa Barbara have made a major contribution to this field by designing a new nanotechnology that will ultimately help make computers smaller, faster, and more efficient. The new process is described in today’s Science Express, the online version of the journal Science. For the first time, the UCSB scientists have created a way to make square, nanoscale, chemical patterns –– from the bottom up –– that may be used in the manufacture of integrated circuit chips as early as 2011. It is called block co-polymer lithography. Five leading manufacturers, including Intel and IBM, helped fund the research at UCSB, along with the National Science Foundation and other funders. The university has already applied for patents on the new methods developed here, and it will retain ownership. 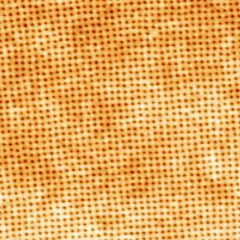 Atomic Force Microscope image of a square array of 15nm pores formed by the new technology. Researchers at UC Santa Barbara have used a superconducting electronic circuit known as a Josephson phase qubit to store up to six microwave photons in a superconducting microwave resonator. The research could help in the quest to build a quantum computer.